LOOK: Is This A Real Mermaid? Photo Of An Alleged Mermaid In Lusok Cave Goes Viral On Social Media! Mermaids’ existence has been a subject of debate among believers and skeptics for quite a long time. However, if you caught a half human-half fish on your own phone, I bet you’ll probably believe they exist. Recently, a photo of an alleged mermaid seen in swimming in the middle of the Lusok Cave in Calayan Islands has gone viral all over the internet. 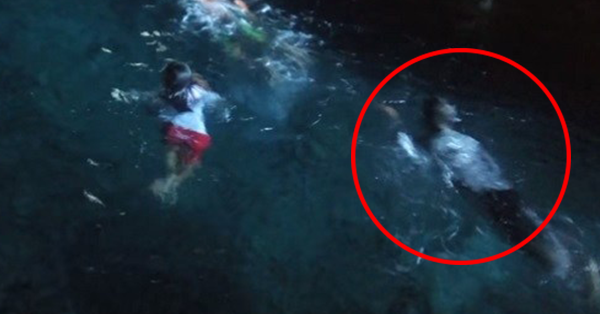 According to Joy, she and her niece went to the Lusok Cave where Arielle went for a swim in the clear water inside. As she swam, Joy took her photo. But when they got home and checked the picture, they were stunned by what they saw – a unique creature swimming beside her niece which they assumed as a mermaid. Kapuso Mo, Jessica Soho team then decided to investigate on the said photo and the legitimacy of the alleged mermaid captured in the photo. What can you say about this story? Share us your thoughts by simply leaving on the comment section below. For more viral news and latest updates, feel free to visit our site often. Thanks for dropping by and reading this post.